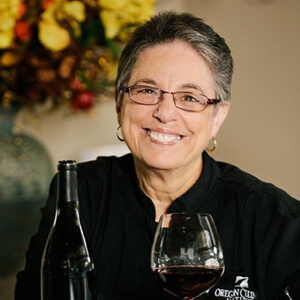 Her history in the food and hospitality business is epic, having been a restaurateur, caterer, and chef, and currently an adjunct Instructor at the Oregon Culinary Institute. She’s the visionary and co-founder of the Taste and Compare Academy of Wine, Spirits and Food, as well as holding an International Sommelier Guild Diploma, and certification as a French Wine Scholar, among other notable certifications. The consummate professional, Maxine also brings a joie de vivre to everything she does, and has been a rock star with OCI students in both front and back of house at any number of OTF events.